For those of you who aren’t familiar with him, Tim Ferriss is an author, speaker, podcaster and more. He burst onto the scene back in April 2007, with his first book, The 4-Hour Workweek. He’s since written other “4-hour” books including The 4-Hour Chef and The 4-Hour Body. 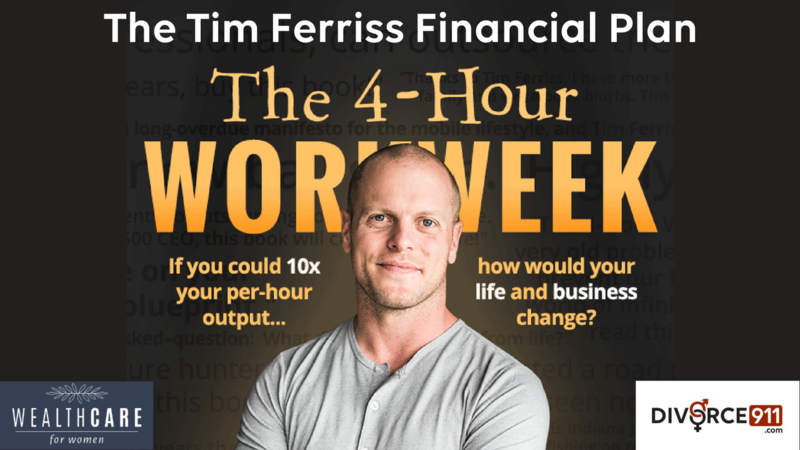 And while his latest book, Tools of Titans, breaks away from his signature “4-hour” theme, you might think an article with the title “The Tim Ferriss Financial Plan” would involve some sort of 4-hour prescription. Instead, I’d like to focus on a concept Ferriss introduced in his first book over 10 years ago. He refers to it as lifestyle costing, dreamlining or lifestyle design. 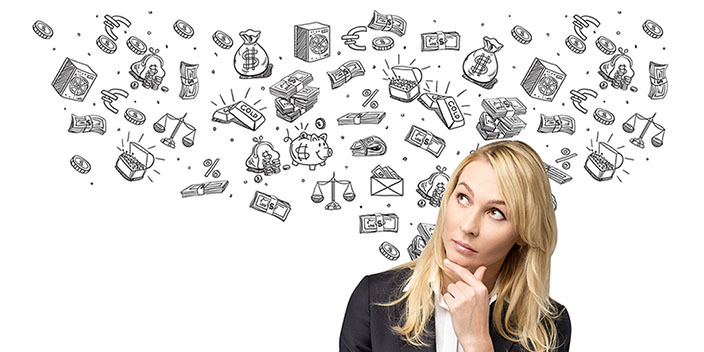 As he explains here, rather than thinking of your annual income and then trying to squeeze as many of your needs, wants and wishes from it each year, think instead in terms of your monthly cash flow. In other words, how much does your ideal lifestyle cost each month? Before we dig into this concept further, I think we should first pause and consider your ideal lifestyle. For this exercise to be valuable to you, you must first determine, in as much detail as possible, what a truly ideal lifestyle is for you. I would encourage you to adopt the Ferriss “lifestyle design” model and think of your ideal lifestyle in terms of what you want to have, who you want to be and what you want to do. If you’re married or have a significant other, this is a great conversation to have with them. And if you’re on your own, as many of my clients are, then you can go through this exercise on your own and bounce it off a friend or trusted advisor to get some feedback. There’s no right or wrong here. Once you’ve spent some time thinking about and writing down the specifics of your very own ideal lifestyle, then it’s time to figure out how to make the money work. We now need to figure out how much your ideal lifestyle costs each month. Let’s say your ideal lifestyle corresponds with a TMI of $6,000. The next step, in order to break this figure into a more manageable number, is to divide your TMI by 30 to come up with your TDI. Yep, you guessed it. TDI is your target daily income. $6,000 divided by 30 = $200 per day. Of course, your ideal lifestyle and your TMI and TDI will vary. 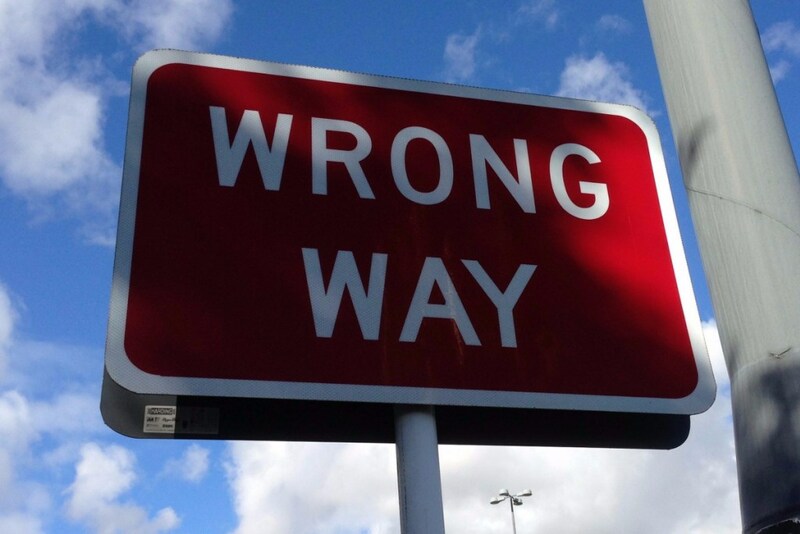 Remember, there’s no right or wrong here. But once you have your TDI, I think it can fuel some interesting ideas. In the example of above, with a TDI of $200, it may be worthwhile exploring the different ways you could earn this amount. $200 TDI equals an 8 hour work day at $25 per hour. Or a 4 hour work day at $50 per hour. Or a 2 hour work day at $100 per hour. But it also could also be you starting a business and selling goods or services to hit your $200 TDI. Maybe the best way to pursue your ideal lifestyle is in your current work situation. But maybe it’s not. Maybe the best way to pursue your ideal lifestyle is where you live now. Then again . . .
Do you need to go back to school to pursue your ideal lifestyle? It’s possible. Perhaps you can move closer to your ideal lifestyle by removing some things and expenses from your current day-to-day lifestyle. Think about the concept of time in the context of your ideal lifestyle. Perhaps you can meet your TDI while only working 5 hours a day. Or maybe it takes 8 hours a day, but only 3 days a week. What would you do with all that extra time? In my opinion, the true value in this exercise comes from asking yourself questions and exploring what your life could really be like. All too often, I meet people who don’t have a plan, financial or otherwise. They make good money, but don’t think in terms of their TMI or TDI. It seems to me like they’re mostly winging it and hoping for the best in the future. And as I’ve written before, hope isn’t a good strategy. You don’t need to wait until you’re in your 60s and retired to start living your ideal life. Why not start now, regardless of your age? If you could create your ideal lifestyle today, maybe you won’t want to retire in the future. Or at least not in the traditional sense of retirement. So here’s a little homework . . . Think about your ideal lifestyle. Get specific. Ask yourself what if and see where the answers take you. Then apply the concept of TMI and TDI to your detailed ideal lifestyle. You may be surprised by how much or how little TDI you need to really live life on your terms. But either way, knowing the TDI for your ideal lifestyle is an important data point. Finally, challenge yourself and your thinking. If you’re not currently living your ideal lifestyle, why not? When will you start? What has to happen first? What are you waiting for? Remember, you only get one shot at life. It’s up to you to make the best of it. And I think the “Tim Ferriss Financial Plan” offers an interesting perspective on helping you do just that. Note: the figures above ignore taxes, and while the tax implications are beyond the scope of this article, be sure that you consider what you need to earn pre-tax in order to reach your TMI and TDI, which are after-tax figures. 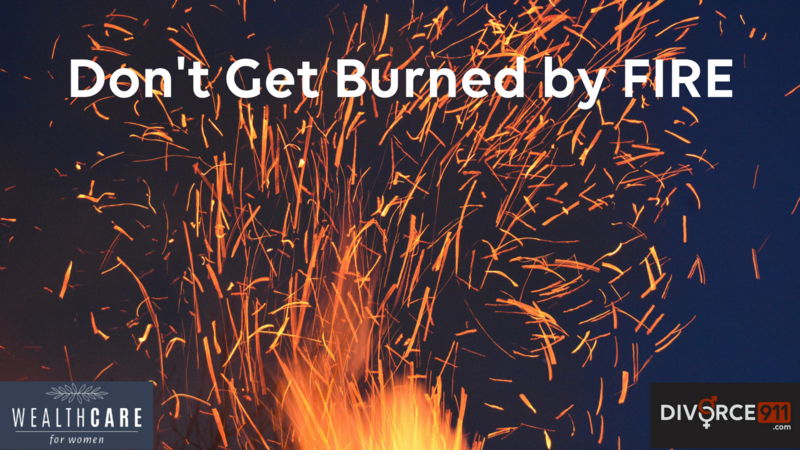 This blog is courtesy of Jennifer Calandra of Turning Point Wealth Advisors. 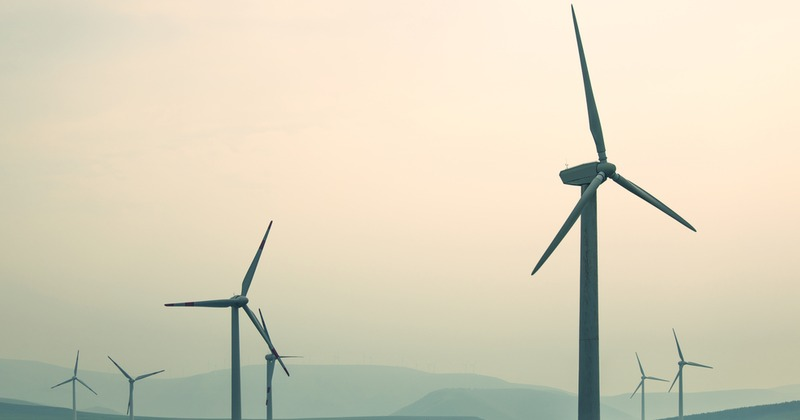 The demand for socially responsible investing has grown 33 percent since 2014, signaling increasing investor interest in making a positive difference in the world. Is this a passing fad or an investment factor worth considering? Sustainable, responsible and impact investing (SRI) focuses on environmental, social and corporate governance (ESG) criteria in an effort to generate competitive financial returns long-term while also making a positive societal impact. It typically involves pruning your portfolio to exclude companies with political, religious, ethical or moral beliefs that conflict with your own. The idea is to incorporate large-scale intention into your personal financial investment plan. Gen Y investors seem to be the driving force behind this trend, with 70 percent citing charitable causes as a key concern in business transactions. But even if the attention is new, the practice of socially responsible investing is not. Quakers in the 1700s abstained from the slave trade for moral reasons, and investors of the 1990s expressed their displeasure with tobacco companies. As analysts gather and review accumulating data on SRI performance, the main consensus seems to be that there are no significant costs or benefits to adopting this investment practice. There is one caveat, however: Funds designed to exclude “sin” sectors tend to lag in performance. But for morally minded investors who place a premium on the alignment of actions and values, this may be a small price to pay. 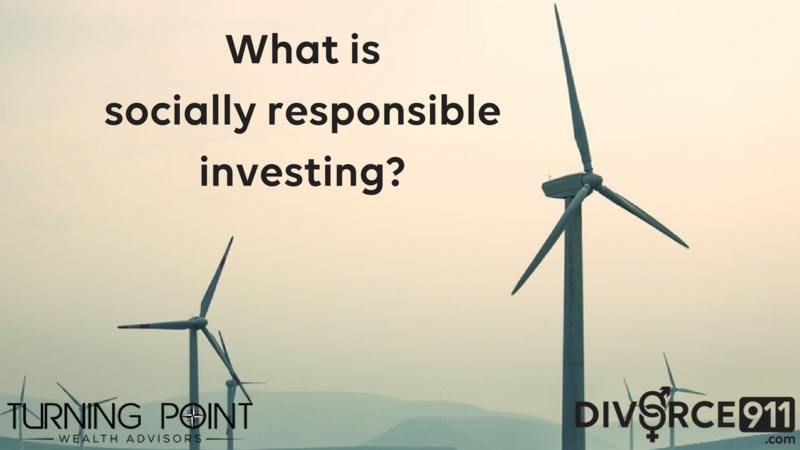 While socially responsible investing requires more background research into company business practices, the satisfaction you gain in knowing your principles aren’t being compromised can be well worth the added effort. Sleight of hand is commonly associated with magic, especially card tricks. 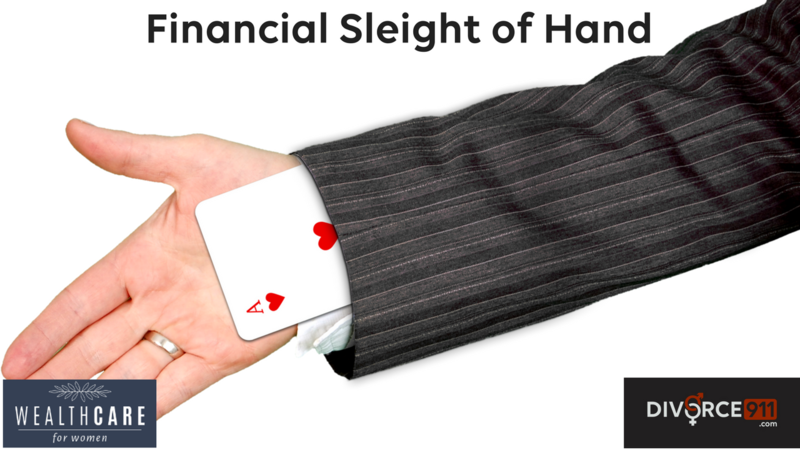 Common definitions of “sleight of hand” describe it as being primarily used for entertainment or deception. And based on my 24 years serving as a personal financial advisor, I believe many advisors are performing financial sleight of hand and either intentionally or, more likely, unintentionally attempting to deceive rather than entertain. For example, I often encounter client portfolios with dozens of tax-free municipal bonds in them. You would think the advisor and their client are tax sensitive and want to avoid unnecessary tax liabilities. But in the same client portfolio, I’ll see a ridiculous amount of transaction activity in their equity allocation (comprised of stocks and/or funds) that’s generating a ton of unnecessary tax liabilities due to short- and long-term realized gains. Or let’s say you RSVP to one of those “financial education” dinners you’re always getting invited to. You sit down to a plate of grilled chicken, green beans, and mashed taters, complimented by a glass of iced tea and a fire and brimstone presentation deliberately designed to scare the living hell out of you. The market’s going to crash. The economy’s days are numbered. The dollar is going to hell. And all this is going to happen in the next few years. When you’d planned to retire. But never fear, these same soothsayers of doom and destruction have the answer: equity indexed annuities. You’ve probably heard of these things. They promise to give you the upside of the stock market but protect against any losses. Interestingly, these annuities aren’t technically registered as investment securities, so it can be quite the wild goose chase trying to get all the details and read the fine print. I suspect many of the people selling these things haven’t even read the fine print. But I’m sure they are definitely aware of the 8-10% sales commissions they get if they sell one of these to you. But back to the financial sleight of hand . . . If you weren’t already worried about your financial future, that chicken dinner certainly put you over the edge. And while these equity indexed annuities sound like the perfect solution, that hard-to-find fine print is important. For instance, your money is typically locked up in these annuities for at least 6-8 years. Sometimes 10 or more. They’re expensive. With the cost of insurance and everything else, the internal fees can and often will exceed 2.5% per year. The way these contracts “credit” your market participation doesn’t include dividends. And dividends have historically played a significant role in the return available from the investment markets. And your market upside is “capped.” This means you can participate in the market upside to a fixed ceiling each year. If your cap is 12%, for example, and the market goes up more than 12% in a year, you forfeit any return above 12%. Again, I suspect many of these annuity sales people don’t even understand these things themselves, so while they may not intentionally be deceiving you, it’s still your money on the line. How about those “let’s just be conservative” assumptions in your financial plan? While you certainly don’t want to be unnecessarily aggressive, being too conservative can come at a cost. Both to your money and your lifestyle. Too conservative financial planning could mean you’re working longer and deferring retirement longer than you need to. You might be taking more investment risk than you need to. You might be saving more money than you need to. You might be planning to spend less in retirement or on other goals than you could actually afford. If you’re going to err in any direction, it’s probably best to err on the side of conservatism, but not at the cost of making the most of your one shot at life. I can think of at least 2 or 3 other examples of financial sleight of hand. Maybe you can too. Just remember when it comes to your money, you shouldn’t be looking to be entertained, and I know you’re not looking to be deceived. But it happens, and I see it all too often, especially with a lot of the women I work with. Here’s one of the worst examples. Many advisors use complexity as a way to justify their existence and their fees. But simple beats complexity any day. And the more simple the solution, the less chance that you’ll be an unwitting victim of financial sleight of hand. As many of you know, I resigned from a large, well known Wall Street brokerage firm in 2006. I had a positive experience at this firm and have nothing disparaging to say about them. However, I do want to touch on an aspect of working for a large brokerage firm. Not in the sense that I was hindered from serving my clients or living my life outside of the office, but in the sense that I was a captive “agent” of that firm. Despite my title of financial advisor at the time, most people considered me a stock broker, or “broker” for short. However, this isn’t entirely accurate. Yes, I could access and utilize thousands of investments and investment products while serving my clients, but the thousands of investments and investment products didn’t represent ALL the available investments and investment products. For instance, I couldn’t recommend a stock unless our firm had an analyst actively researching and following the stock. And thankfully, I got out of the stock recommending business long before 2006. If I wanted to recommend many no-load mutual funds, including Vanguard, there was a time earlier in my career where these weren’t available at all. Later, many of these became available through a fee-based brokerage or wrap-fee mutual fund accounts. Let’s look at it from another perspective. If you own a car or a home, you have to have insurance coverage. Is your insurance coverage sold by a “captive” agent or a broker? Captive agents can typically only sell insurance policies from the company that employs them, while brokers can shop around among different insurance underwriters and access different policies from different companies. I always recommend that you utilize the services of a broker when it comes to your insurance coverage whether it’s on your home, your car, your life or your long-term care. Otherwise, by using a captive agent, you’re limiting your choice, both in terms of coverage and in terms of price. I think the same concept holds true when you’re dealing with a financial advisor. However, in the absence of a long-standing, trusted advisor relationship, I think it would be in your best interests to seek advice from an independent financial advisor. There was a story a few months back covering the decision by Morgan Stanley to no longer offer Vanguard funds to its clients. Make of that what you will, but it highlights how some advisors and their clients are subject to the decisions of the organization despite what may or may not be in the best interests of that organization’s clients. And if you want to take things a step further, not only do you want to establish a relationship with an independent advisor, but you may also want to be sure you’re working with a financial advisor who is a fiduciary. But even then, all financial advisors who are fiduciaries are not the same. Some advisors serve their clients as fiduciaries at all times, while other dually-registered advisors serve either as a fiduciary or not depending on whether they’re working with you on a brokerage account or a managed account. And ultimately the responsibility falls to you to understand these distinctions among advisors. Most consumers believe all advisors must put their clients’ interests first all the time. Sadly, this isn’t the case. Again, a trusted relationship transcends all this terminology, but these are some important considerations especially when you consider the importance and potential impact a financial advisor can have on your life. 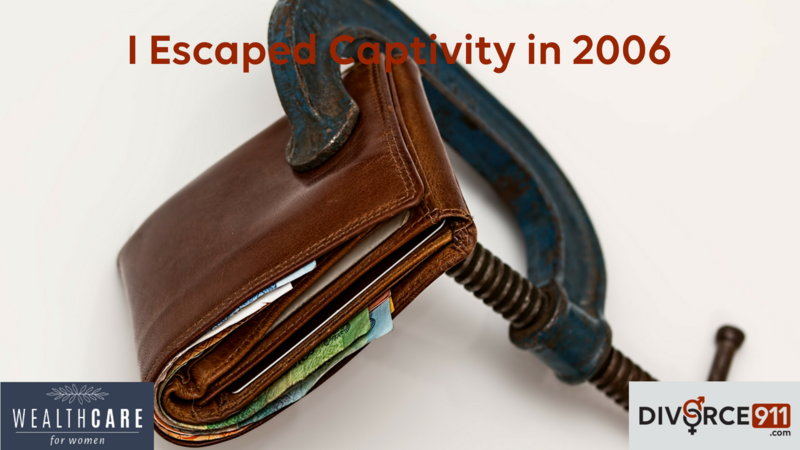 I’m happy to have “escaped” captivity back in 2006 when I left the large Wall Street firm. While I had a good experience there and met a lot of great folks, I’m happy to now be both independent and serving my clients as a fiduciary at all times so I can always put my clients’ interests first and have access to the full universe of solutions available. At a large firm, the clients’ interests are often competing with those of employees and shareholders. With an independent advisor serving as a fiduciary, there are few, if any, instances where your interests are competing with those of shareholders or employees. So whether it’s your home or auto insurance or your financial planning, I suggest you consider the benefits of working with an independent financial advisor working as a fiduciary who is only captive to your best interests. ©2016 Divorce911.com. All Rights Reserved |This information is deemed to be accurate. Reader / User is required to perform their own due diligence with the appropriate professionals. DIVORCE 911 is not a law firm, financial institution or advisor, registered mental health resource, does not practice law, and does not offer legal, financial, or therapeutic advice. Your values – the ideas and concepts that are most important to you – are tightly woven into the fabric of who you are. But discovering your values can prove to be a challenge. In financial planning, your values are important, because even if you achieve success in financial terms, it will feel hollow if you’ve compromised your values along the way. Headlines about current events are constantly changing. In addition to changing headlines, we have economic indicators and information, investment markets, political environments and legislation, just to name a few. But your values are typically constant in your life. Most people confess they’ve never been asked this question before, so they’re often a bit puzzled as they think about it. This isn’t a leading question. I’m not looking for a specific answer. And there is no right or wrong answer. But I believe that your values are perhaps the most important ingredient in the development of your financial plan that it’s where I always begin. My goal here is to get people to dig below the surface and think more deeply about why money is important to them. I’ve had this conversation with some folks last 5-10 minutes. With others, we’ve spent an hour digging into and discovering their values. Many people often land on concepts like freedom, independence, choice or flexibility. As I’ve written about these questions before, they’re designed to help you continue to think about your values and your life in the context of not simply attempting to accumulate more and more money but instead defining what you want to use money for in your life. This is just another way of exploring and discovering your values. Much of financial planning is quantitative and number-based. And it’s important to have the numbers all buttoned up. But don’t discount the importance of the qualitative aspects of your life as it relates to your financial plan and ongoing planning decisions. Not only do I believe in the importance of your values in building your financial plan, I also find it a fascinating topic of discussion and an often untapped opportunity to help you achieve a better understanding of yourself and where you’re trying to go. So I’m excited to introduce another recently acquired tool to help with discovering your values. It’s a deck of cards from a company called think2perform. 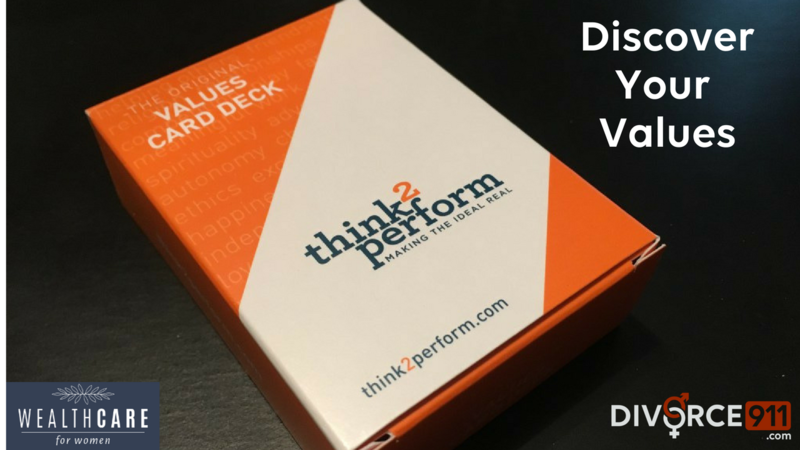 And their “values card deck” is something I’m eager to introduce to my discovery process. While I think there is certainly room to experiment with a tool like this, here’s how it’s designed to be used. If I’m sitting down with you in a discovery meeting, I would hand you the deck of cards and ask you to sort them into two piles. One pile contains values that fit you well and the other pile are values that don’t fit you well. After you’ve gone through all the cards and created a pile with the values that best fit you, you go through the pile again and select the 15 values cards that are ideally important to you. Next, reduce the stack to your 10 most important values cards. And finally, reduce the stack to the 5 values cards that ideally are most important and best reflect who you are at your core. Does this mean you only have 5 values? Of course not. But we’re trying to prioritize your most important or ideal values among many. Then, as you’re faced with current and future financial decisions, we can use your 5 most important values as a litmus test to make sure your decisions are in alignment with who you are and the life you want to lead. They become a critical part of your financial plan and a good check point when you’re faced with a decision or considering a change. For some of you, this exercise probably sounds a little like new age airy-fairy stuff. That’s OK. But if like me, you’re interested in discovering your values and using them as a guide in your financial decision making, you may find this new tool helpful. How Resilient is Your Financial Plan? Though originally written in 1859, Dickens could just as easily have been talking about current times. I don’t have to highlight some of the present day “worst of times” we’ve experienced in recent days, weeks and months. But I believe it’s also important not to lose sight of the “best of times” that we not only enjoy but often take for granted. Since I don’t own a crystal ball, nor do I work at a carnival, I’m not in the prediction business in any shape or form. But the market and overall economy has been on a generally positive trend as of late. That might continue. It might not. But as the market (and your investments) goes up in value, it’s easier and easier to forget how quickly the market (and your investments) can go down in value. But this is about much more than your investments relative to the market. It’s about your financial plan, and your life. What happens to your financial plan, not if, but when, the market goes down by 10%, 20% or more in the future? Is your financial plan resilient enough to withstand this almost certain future scenario? For those without a financial plan that ties their financial resources to their lifestyle, it’s tempting to make a decision that feels safe but can be very costly in the context of the rest of your life. These are people who will “get out of the market” until things calm down. I recently spoke to a woman who got out of the market after it had gone down in 2008 and is still waiting for things to settle down before she reinvests. The better approach, I think, is to have a balanced portfolio that works hand-in-hand with your personal financial plan. You don’t need – nor do you want – a portfolio that tries to beat the market and in doing so just beats you up instead. No, you want a portfolio that will allow you to stay invested through good markets and bad. You’ll likely miss some of the upside, but more importantly, you’re likely not to experience all of the downside. This is particularly timely as I’ve been having more and more conversations with folks about why we have as much fixed income (bonds) in their portfolio as we do. “Shouldn’t we move more to stocks since stocks are going up right now?” they say. If we were simply chasing returns and focused solely on their money, then perhaps that is the right strategy. I’m not sure, because I’m not in that business. Instead, I’m trying to help people get the highest return on life with the money they have or expect to have (through savings) in the future. In this context, I want to take as little risk as possible while still supporting a sustainable lifetime financial plan. And when pressed to really explore why they’re coming to me for help, that’s what my clients tell me too. But it’s easy to forget this when the the market’s going up and you feel like you’re missing out. Unfortunately, despite some of the slick advertising and marketing by Wall Street, you can’t have it both ways. You can’t consistently time when to get in and when to get out of the market. Remember the Buffett quote above about the “clocks have no hands”? It’s true. And if you can’t time when to get in and when to get out, but you insist on chasing returns as they’re going higher and higher, it increases your chances of capturing more and more of the downside when (not if) markets eventually go lower. Perhaps a lot lower. But again, let me remind you that this isn’t simply about your portfolio and the value of your brokerage account, IRA or 401k. It’s about your life as reflected in your financial plan. It’s much easier to think about retirement planning, funding your child’s or grandchild’s education, making charitable gifts, traveling like you’ve always wanted or whatever is important to you in a “best of times” environment. But what about facing some of these same decisions when the market is falling? What adjustments and trade-offs are you willing to make to keep your plan on track and still pursue your goals and aspirations? Just like you go through the lifeboat drill when your cruise ship is still safe in port, you need to think about and quantify what you’re willing to do (or not do) before your financial plan comes into contact with your life and all the dynamics and changes it ultimately brings. So whether you consider yourself an optimist or a pessimist. Whether you think of today as the “best of times” or the “worst of times.” Whether you have a portfolio that is based on a personal financial plan or not. Just consider the resiliency of your financial plan and how well it (and you) can withstand the inevitable challenges ahead. Even if those challenges are hard to imagine today. If this is something you’d like to discuss or you’d like to stress test how resilient your financial plan is, please get in touch. It’s important and something I’d love to help you with. 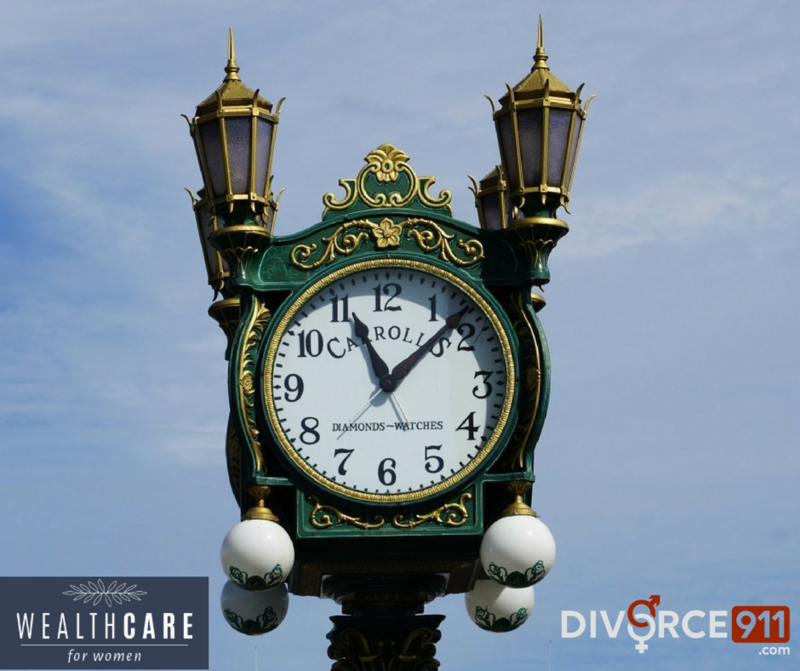 DIVORCE 911 Collaborated with Wendy Hayes of Mitchell Hayes for this blog. We also have a video covering this topic. In many cases, people will return years after their divorce for some kind of modification. That could be property that wasn’t properly titled when the division of assets was supposed to happen, or worse yet… the division of debt. Perhaps one party is responsible for paying off debt and did not do it. Then the bank or whoever the lender on the debt comes after the other spouse. If you haven’t taken the appropriate steps to have your name removed off of that debt the lender has every right to come after you to pay it. They are not required to administer or respect your divorce. This is why it’s so imperative to think forward and think about what is going to happen post divorce. You want to do everything you can to minimize the possibility that you have to go back and seek a modification in the future. It can be extremely costly to be able to do so, it’s very difficult, and it’s emotionally draining. Once again, that is why it is so important to think through all of what can happen once you get that settlement. Make sure everything gets titled correctly post divorce. This prevents the ability to come back later and ask for more money. When it comes to child support, remember that your child’s expenses increase over time. Thinking far enough in advance so that your settlement has your future protected should keep you from going back to court and asking for an increase. The biggest thing to remember to do is to think forward. Really get out of your past, separate yourselves from the now, think forward to what your future is going to look like. This information is deemed to be accurate. Reader / User is required to perform their own due diligence with the appropriate professionals. DIVORCE 911 is not a law firm, financial institution or advisor, registered mental health resource, does not practice law, and does not offer legal, financial, or therapeutic advice. If you have a financial plan, at this very moment in time, it’s probably wrong. Think of it like you’re an airline pilot. If you’re responsible for flying your plane from Atlanta to Salt Lake City, during the course of the four-hour flight, you’ll likely be off course most of the time. Just consider all the variables that can impact the plane and its flight path at any given moment. However, through a series of small, ongoing adjustments to offset the impact of turbulence, headwinds, storms and more, the pilot (along with a lot of avionics) is there to make sure the flight arrives safely at its destination on schedule. Similarly, I would argue that your financial plan is “off course” most of the time. Again, think of all the variables that impact your financial life and your financial plan. These are just like the turbulence, headwinds, and storms that a pilot needs to negotiate when flying a plane. Add the uncertainty of the investment markets to the mix, and it’s easy to see how it’s unrealistic to expect your “financial flight plan” to be on course every moment of every day. You recently welcomed a new granddaughter into the world. And let’s say you want to help her parents by paying for half of her undergraduate degree. According to the College Board, the national average costs for an in-state public school during the 2016-2017 academic year is $24,610. For a private college, these costs averaged $49,320. Let’s say that just a few weeks after the birth of your granddaughter, she gets her Social Security number and you set up a 529 savings account for your contributions to her future tuition. She’s just a few weeks old. Will she go to public college? Private college? In state? Out of state? Will she get financial aid? Merit awards? An athletic scholarship? Will she go to college at all? Maybe as a starting point, you use the average of the public in-state and private schools to get an annual cost of $36,965. As you’ve committed to covering half of this cost, you need to save for four years of college at $18,482 per year (in today’s dollars). You come up with a savings plan to save some money into her 529 account each month. But after doing this diligently for 15 years and staying on track to reach your target college savings goal, it becomes obvious that your granddaughter is on a different path. She’s been cruising through her AP classes, is involved in 2-3 extracurricular activities and wants to become a neurosurgeon. She wants to go to Duke for her undergrad pre-med program. Tuition at Duke is $49,241 per year. And total annual costs to attend Duke average over $66,000 per year. Quite a bit higher than you originally planned for. How you respond to this new information isn’t the point of this article. The point is that things will change. You’ll get new information. You’ll have to make adjustments and course corrections. And this was just an example of helping with your granddaughter’s college. Add other education savings, retirement, long-term care insurance, travel goals and other needs, wants and wishes to your plan and it’s pretty clear just how easy it is for your plan to be off-course as much or more than it’s on-course. But even if your financial plan is wrong at this very moment, that’s perfectly fine. Your financial plan isn’t the answer to a formula or a one-way ticket to a comfortable and confident financial future. Your financial plan is simply a snapshot in time that reflects everything we know at this moment. Your plan is actually a guide to help keep you headed in the right direction. So you’ll reach your financial goals safely and on time. But a key ingredient in successful financial planning is having a system in place to make regular evaluations and adjustments along the way. And with your financial plan, there’s no such thing as autopilot. Or set it and forget it. That’s why financial planning (verb) is more important than simply having a financial plan (noun). Your financial planning process needs to be flexible so as you encounter new information or you’re faced with new decisions or life transitions, your financial plan can easily accommodate this new data and serve as a personalized decision-making tool. Perhaps at this point, if you accept my premise that your financial plan is wrong most of the time, you’re wondering if it’s even worth the effort. I mean, why bother with financial planning in the first place? While I’m clearly biased, I think financial planning is one of the most important things you can do for yourself and your family. And this transcends matters dealing solely with money. Financial planning is a valuable process through which you can better clarify your values, your goals, and your priorities. That alone is worth the effort if you ask me. But having a living, breathing financial decision-making framework that you can rely on as you encounter life’s headwinds and storms can also deliver peace of mind and reduce your anxiety when faced with a decision. Especially for a choice, you didn’t see coming. So think of your financial plan much like a flight plan. I doubt you would feel comfortable getting on a plane if the pilot didn’t have a flight plan. Why should your financial future be any different? There I was, standing in my driveway on a beautiful Sunday afternoon, unleashing a stream of expletives. Just 2 weeks prior, I went outside to use my backpack leaf blower. And while I’m no small engine expert, I pulled out the spark plug and cleaned it off and ran a few more tests to see if I could get it to fire up. No matter what I tried, nothing. So after borrowing my neighbor’s blower, I took mine around the corner to the “helpful hardware folks” at Ace Hardware. They kept it a few days and called me to say it was starting up just fine now. I went to pick it up and spoke to their leaf blower guy. He said he couldn’t pinpoint the issue, but he emptied the fuel reservoir and put some TrueFuel in it. He yanked on the starter cord with me standing right next to him and it fired right up. And then about 2 weeks, later, on a Sunday afternoon it wouldn’t crank at all. That’s why I was cursing. So I throw the blower in the back of my SUV and take it back to Ace. Thankfully their leaf blower guy is there and we take it outside for him to give it a quick inspection. He tries to crank it with no luck. He replaces the spark plug. No luck. He “thinks” it’s the ignition module acting up. But he’ll have to tear it down and figure it out. He’ll call me when he knows more. Hopefully, I’ll be back in leaf blowing action soon. And just so you know, here’s a satellite image of my home, courtesy of Google Maps. We’re completely tree-covered, so while a working leaf blower isn’t a necessity in the Spring or Summer, it sees a lot of action in the Fall and into the Winter where I’m sometimes blowing leaves 2 and 3 times a week. How do you know when it’s time to be patient and stick with your financial plan or when it’s time to try something new? My blower wasn’t working. I took it to get fixed. It’s still not working. I took it to get fixed. Again. There’s some trial-and-error going on here in an effort to first diagnose and then prescribe a solution so my leaf blower will work again. Being patient and continuing to try to start it myself likely would have ended in a lot of frustration and no small amount of obscenities being uttered. And it almost certainly wouldn’t have started. It was time to try something different. And get some help. I often see some parallels with this concept and your financial planning. How do you know when it’s time to simply be patient and give your financial plan time to work versus giving up and trying something new? In my experience, if you’re working with a trustworthy, fiduciary financial advisor, it often makes sense to be patient and give it more time. Financial planning isn’t a sprint. It’s not even a marathon. It’s more like one of those obstacle course races you might have seen, but instead of it lasting a few hours, it lasts the rest of your life. Yet, so many people are quick to dismiss something that they feel isn’t working only to go try something different. And whether something different is a new DIY approach or hiring a new financial advisor, they often end up doing essentially the same things over and over again. This is reminiscent of the definition of insanity. So should you judge the progress of your financial planning over weeks, months or years? Is financial planning progress defined as beating the market? Achieving your goals? Reaching financial independence? While I have some opinions about these matters, the truth is that your definition of financial planning progress and even financial success is unique to you. Everyone’s financial plan is different. If your financial plan isn’t unique to you, then you don’t have a financial plan. You may have an investment plan that’s similar to someone else, but it’s not a personal financial plan without the “personal” part. Otherwise, if you allow yourself to be blown from one idea or strategy or advisor or plan to the next, your finances might get blown away too. And that’s the exact opposite of what financial planning is all about. This blog is courtesy of IRC Wealth. Between books, blogs, podcasts, and websites, there are a plethora of “best money tips” out there, with more and more of them focusing on women’s unique needs. At IRC Wealth, many of our clients are women — from professional women to business owners, the recently divorced and the nearly retired. Consequently, we’re always on the lookout for information that could benefit these clients. And, while this list is targeted toward women, most of these include aspects that apply to everyone regardless of gender, age or life stage. While all five recommendations listed here are good, the first one is a great way to kick off the financial planning process. Set Financial Goals: For many of us, getting started on a financial plan can be the hardest part. To get you moving, start by writing down three financial goals you want to accomplish. For example, you might want to purchase a home, start a business, or fund a child’s college education. Goal-setting and goal-attainment tend to go hand in hand. Setting your own goals, and setting a timeline for these goals, also helps put you in the financial driver’s seat. In this article, Orman covers everything from automating payments to retirement savings and mortgages. However, this one, in particular, got our attention. Create the Four Most Loving Documents in Existence: One of the most tragic disconnects I see is when someone tells me she loves her family to pieces but hasn’t set up these four must-have documents: a revocable living trust, a will, a durable power of attorney for finances, and a durable power of attorney for healthcare. 6 Female Entrepreneurs Share Their Best Business Advice. As the author notes, women entrepreneurs are the fastest-growing segment of business owners in the U.S. But, compared to male-owned businesses, women-owned businesses generally fail at a higher rate, employ fewer people and generate less revenue. The six women she interviews all share solid advice, including this. Amanda Luu, Co-owner of Studio Mondine: Before you file for anything, talk with an accountant and see if it’s humanly possible to hit the revenue goals before you start investing the time. The relationship you have with your accountant is very important, so find someone with the right experience and whom you trust.My other piece of advice is to forge genuine connections with people inside and outside your industry. So much of our business is referral-based, one relationship can make or break your year. Be truly interested in them and try to cast a wide net. Prenups, Postnups, and Everything in Between. While the IRC Wealth blog has covered prenups and postnups, we haven’t used the term “sunset clause,” an important consideration that this article explains, beginning with this definition. Can’t Do It All? Your Top 5 Financial Priorities. This blog notes that “it can be difficult to keep up with everything financial. And when things turn crazy, like they do from time to time, it can be near impossible.” The author then lists the top five financial priorities she recommends, in order, starting with this first one. #1 Pay your bills – preferably on time. Make sure they don’t exceed your income, and if they do, make it your very first priority to cut your spending and/or boost your income. When your accounts payables and accounts receivables match, and you are no longer struggling to make ends meet, take a breather and give yourself a pat on the shoulder. Within each of these links is, even more, advice that you may find helpful. And remember — much like a simple financial plan being the best because it’s one you’ll follow — the same goes for the best money tips. Tackle a few at a time and you’ll find it easier to stay on track as you head toward financial freedom. DIVORCE 911 consulted with Steve Shewmaker of Shewmaker & Shewmaker for this blog. We also have a video covering this topic. A 401k is one of several types of retirement plans. Under principles of federal law, a 401k is formed and it is only titled in the name of one person. You can have a personal 401k but you can not have a joint 401k with someone else, the way a bank account can be joint ownership. It is not a legal option. In a divorce, it is not uncommon for both parties to have 401k’s. It is also not uncommon for only one person in the marriage to have a 401k. Even if they both have 401ks, people don’t always save evenly. It’s very common to have the husband’s 401k have 2 or 3 hundred thousand dollars in it and the wife may not have a 401k or have very little. There is a common misperception (in a divorce), that taking money out of a 401k will result in taxes and penalties. That is not necessarily true. If a 401k is divided by a court order, entitled a Qualified Domestic Relations Order, there will be no taxes or penalties. A Qualified Domestic Relations Order or “QDRO” is simply a piece of paper signed by the superior court judge that is a directive. 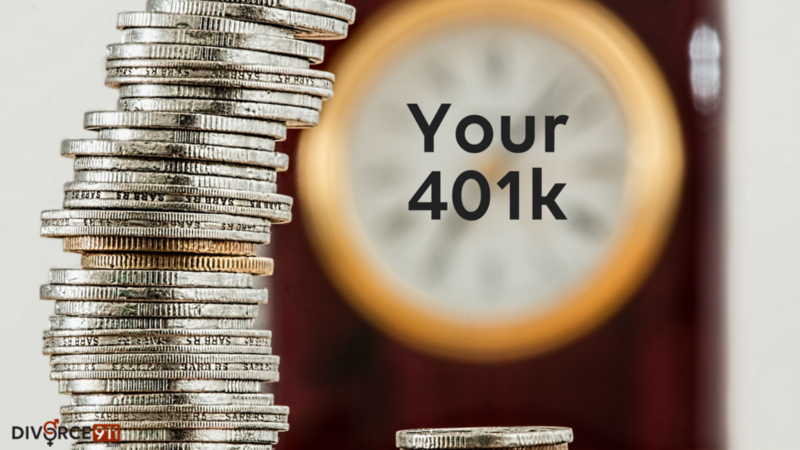 It directs the 401k plan administrator to divide the 401k and to transfer money to the recipient spouse and into another retirement account, usually an IRA. This is tax-free. Usually, there will be no penalties and no taxes assessed on that transfer. Now, what is not widely known, with the 401k (unlike the IRA or other investment accounts) you are allowed (as the recipient spouse) to take out cash in this transfer one time without a 10% penalty. You will be assessed ordinary income tax on it but not the 10% penalty. This is not true with an IRA or other types of retirement. There’s a way to get creative and sophisticated here. For example, suppose the parties were going to divide a 401k evenly but they had $20,000 in credit card debt that they wanted to pay off. They could transfer more money in the 401k transfer and the recipient spouse could take that money out in cash to pay off the $20,000 credit card debt. This could be useful for both parties and be successfully implemented by mutual agreement. 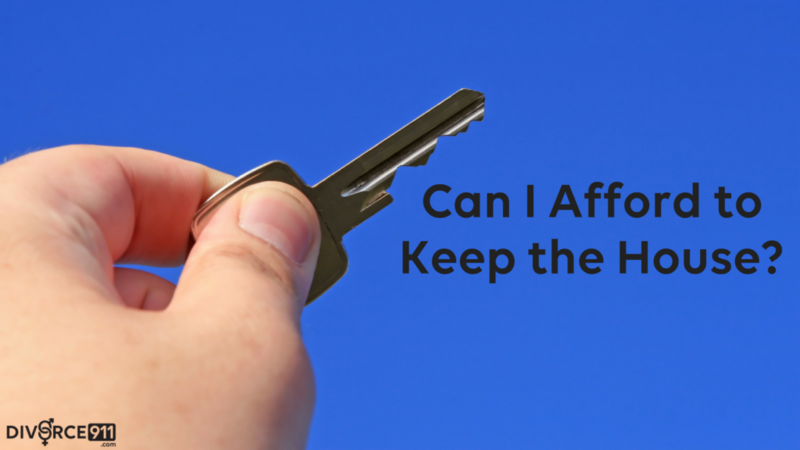 Can I Afford to Keep the House? DIVORCE 911 consulted with Chris Philmon of Angel Oak Home Loans for this blog post. Please check out our video library to view the video covering this topic. Whether or not you can afford to keep your house after divorce is a topic that comes up a lot. This comes up because people don’t necessarily understand the process of the mortgage underwriting process as it relates to income and assets moving forward. Let’s assume that the mortgage has been consistently paid on time during the marriage. 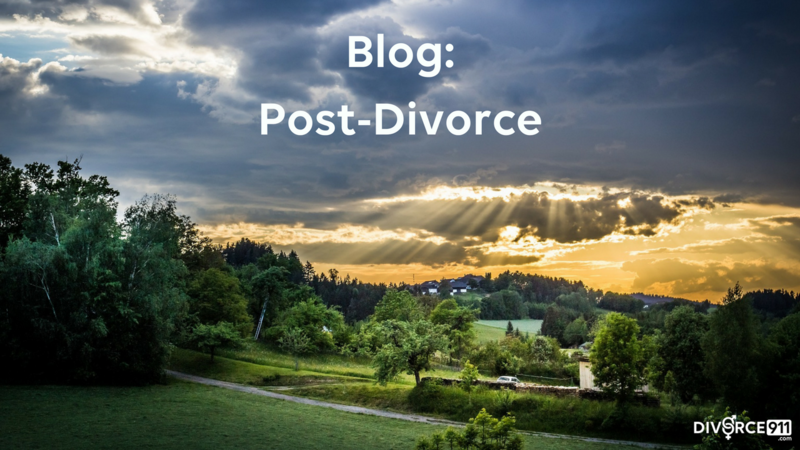 However, once you have a divorce things can change… Whoever is keeping the house after the divorce needs to requalify on their own for a new mortgage. The main topics that are looked at are credit, assets and most importantly; income, income source, and the trend of that income.DIVORCE 911 consulted with Chris Philmon of Angel Oak Home Loans for this blog post. There are of course other factors. If there is spousal maintenance, alimony, or child support generally speaking you need to be able to see a track record of 3-6 months before those items can be considered as income. There needs to be a trend of that person receiving it as if it were a regular paycheck. If someone is planning to reenter the workforce to provide income moving forward there are different policies for what is accepted. At Angel Oak Home Loans, we accept an offer letter as long as the start date is within 60 days for that person beginning their new employment. In this day and age income as compared to what it was years ago is more heavily looked at. The underwriters have to see that trend/stream of income. To summarize that means seeing a track record of receiving child support or alimony. If someone is reentering the workforce there needs to be an offer letter. If someone has worked and will continue to do so then how that income is affected by these new debts and all of the new debt that they will be taking on will be closely examined. This will be done to make sure they can go through the refinance before these things are finalized with the separation agreement or divorce. You don’t know what you don’t know. The marital house has a lot of responsibility tied to it. Seeking advice and help from a professional mortgage lender is the best way to go about this. This will allow you to get a clear picture of what your financial lifestyle will actually look like. Post-divorce, your income will have been cut in half and your expenses basically doubled. All of your bills become yours and yours alone to pay.